Forex.com is highly valued with its clients for its execution and integrity. 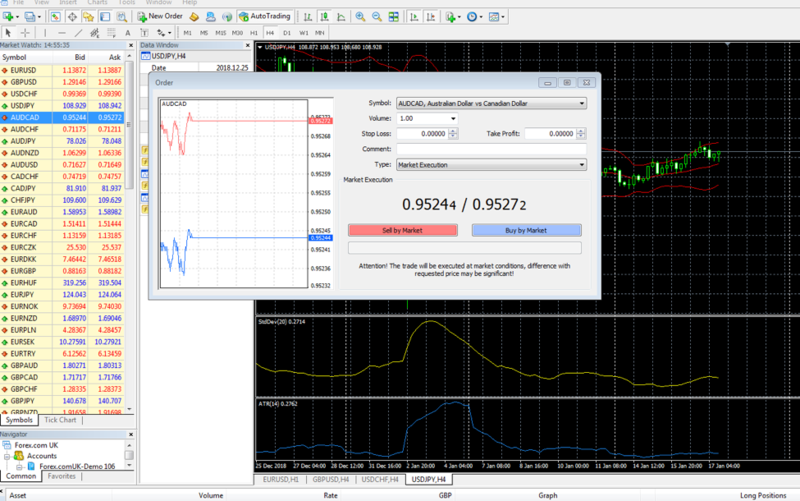 It offers several different trading platforms, its own Forex.com trading platforms as well as the Metatrader4 platform. As part of Forex.com’s risk management the company maintains capital levels well in excess of those required by the regulator to help ensure that they are well capitalized in times of economic uncertainty. In addition, FOREX.com has an established global liquidity plan that provides access to significant resources from the GAIN group of companies as well as an external revolving credit facility. Furthermore, all customer deposits at FOREX.com are kept separate from their own operating funds and distributed across a global network of custodian banks and brokers. Forex.com has over 200,000 retail and institutional customers. It offers over 82 currency pair trades, and over 200 CFDs in various asset classes. Recently Forex.com launched a Bitcoin CFD based out of its UK entity. Forex.com offers three main types of accounts; Standard, Commission and Direct Market Access Accounts. The different accounts are suited for different trader types and their respective needs. The minimum initial deposit is as low as $250. 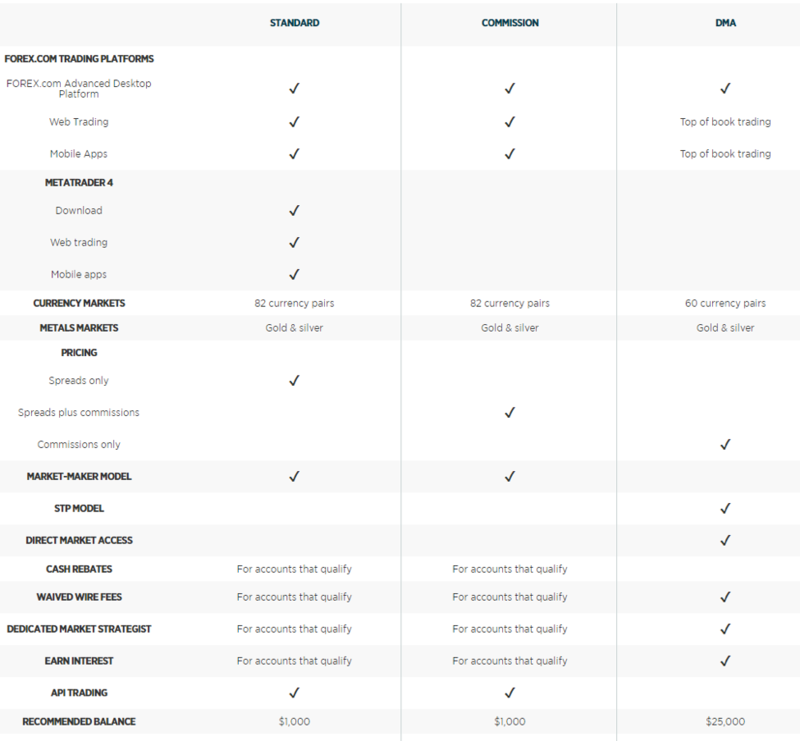 Below is a comparison between the 3 accounts. It also offers all customers access to Market strategists which help traders develop trading plans that suit their needs. Forex.com provides various types of products. These include; Forex, Spot Metals, and Cryptocurrencies. Forex.com also provides negative protection balance, which is important for any good broker. Forex.com is one of the top brokers when it comes to execution. In January 2011, Forex.com was the very first broker to introduce their Execution Scorecard. It is still the only U.S. based broker that discloses its execution quality, a level of transparency not easily found amongst other brokers. This is great! 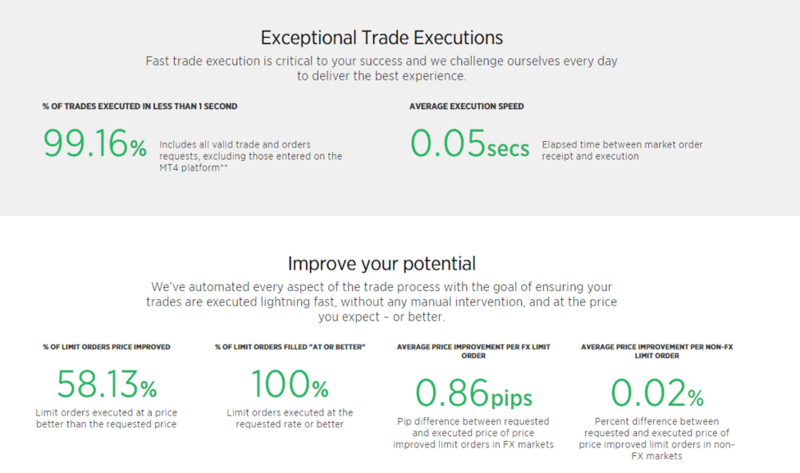 The average execution speed is just 0.05 seconds, which counts the time between the receipt of the market order and its execution. Additionally, 99.16 percent of all trades have been successfully executed, including valid market, limit, stop, and instant execution orders. Commissions: Forex.com charges a spread for each FX trade. For EUR/USD, the minimum spread is 1, with a typical spread of 1.3 and margins from 0.5 percent. This is highly competitive and transparent way of pricing. In addition Forex.com Rollover rates (trades held overnight) are some of the most competitive in the space. Deposit/withdrawal: Can be made in various forms, such as credit/debit cards such as VISA and MasterCard, Bank Wire Transfer and Checks. Forex.com does not offer funding or withdrawal from either Western Union or PayPal. These options are more restrictive compared to other sites. Forex.com offers trading on both its own trading platform (Advanced Trading Platform) and the commonly used Metatrader (MTD4) platforms. Its own proprietary platform includes integration with advanced analysis tools, including automated analysis from Recognia, Faraday, and Autochartist. In addition, the industry standard Metatrader platform is a user friendly platform that will keep most traders happy. Forex.com offers mobile version of their trading platforms with apps for both Android and iOS based mobile phones and tablets. Forex.com is one of the top brokers on the market. As one of the oldest and most reputable brokers around, they have focused on quality and transparency. As a trader those factors are key, especially within the Forex space. Forex.com also provides excellent educational platform for all types of investors from beginners to advance. Offering tutorials for trading platforms to trading strategies. 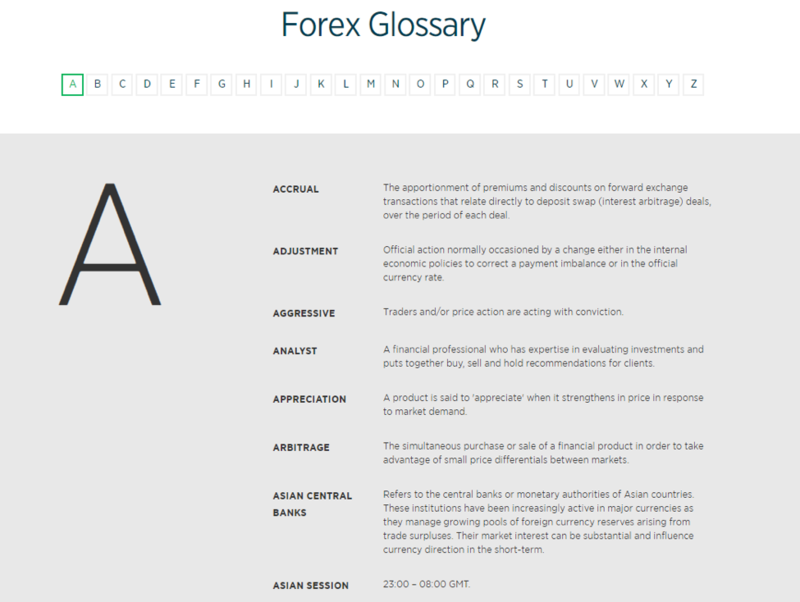 Forex.com offers a multitude of themes and library of educational material. It offers tools such as articles, videos, webinars, e-tutorials, videos and glossary. It offers educational materials in such as managing risk, technical analysis, trading strategies, fundamental strategies and more. Below is a brief example of what is offered. 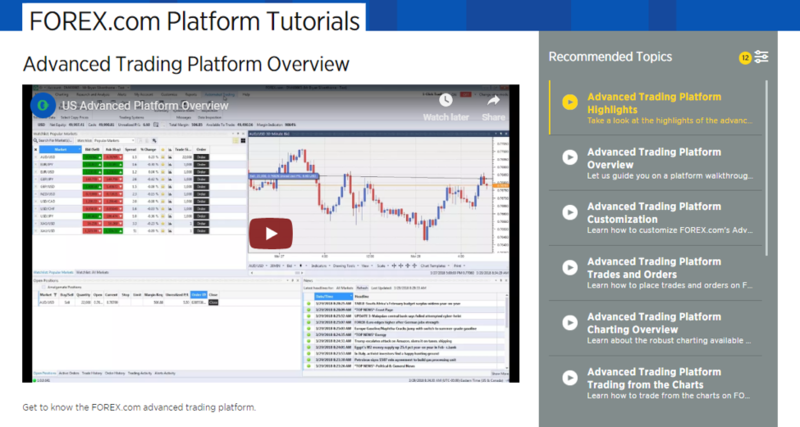 Something we found extremely helpful is the trading platform tutorials. In addition, the weekly webinars that offer commentary on the marketplace and provide insight on the forex market which are useful. 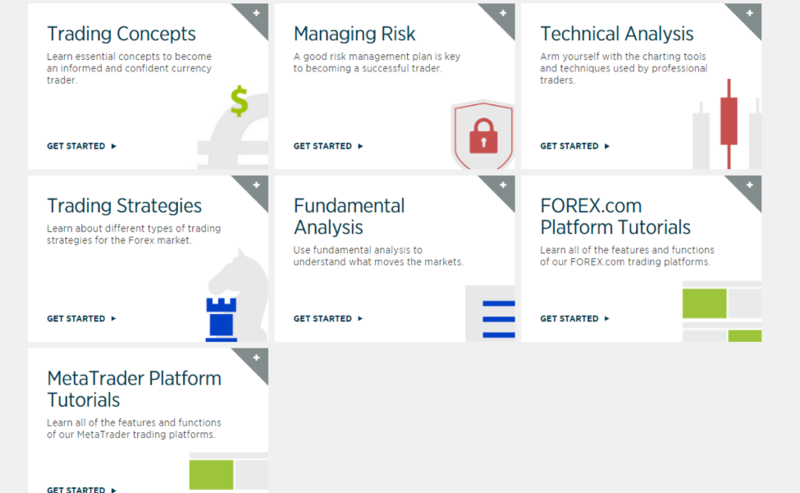 Furthermore it also offers trading courses and tutiotirals for all experience levels. These videos/webinars are easily understandable with seasoned teachers leading them. The Glossary is extensive and useful. Forex.com Advanced Trading Platform is a flagship platform. It has all types of charting packages already pre-installed. In addition, extensive selection of technical indicators and drawing tools are available. It offers over 100 different indicators which are important for a forex trader. The platform packs a lot of good feature in a straight-forward layout which can be customized. 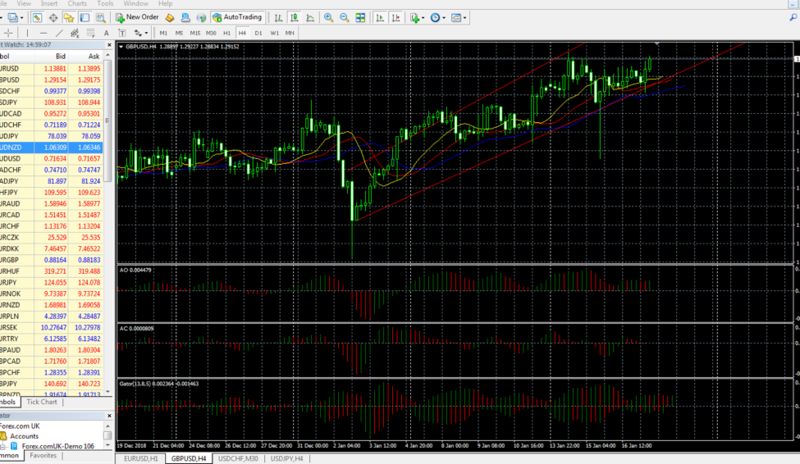 Various technical analysis and charting tools are easily used. 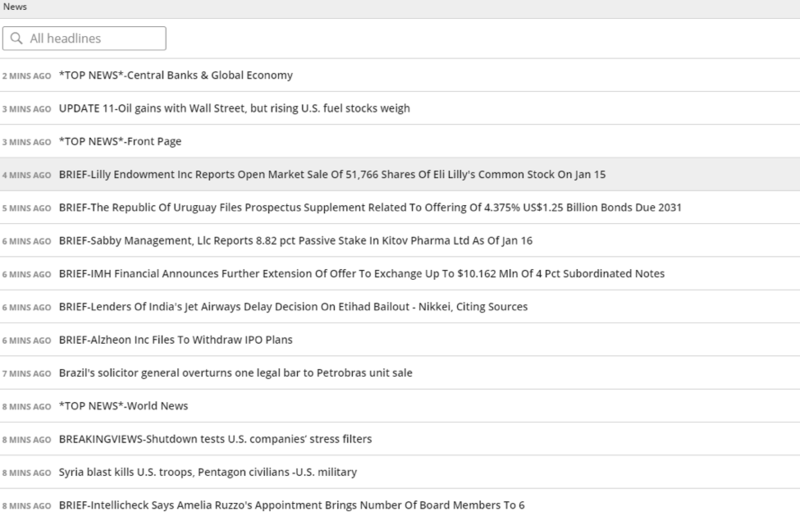 It also provides extensive amount of news and research powered by Reuters. The platform has also an economic calendar with upcoming forecasts. 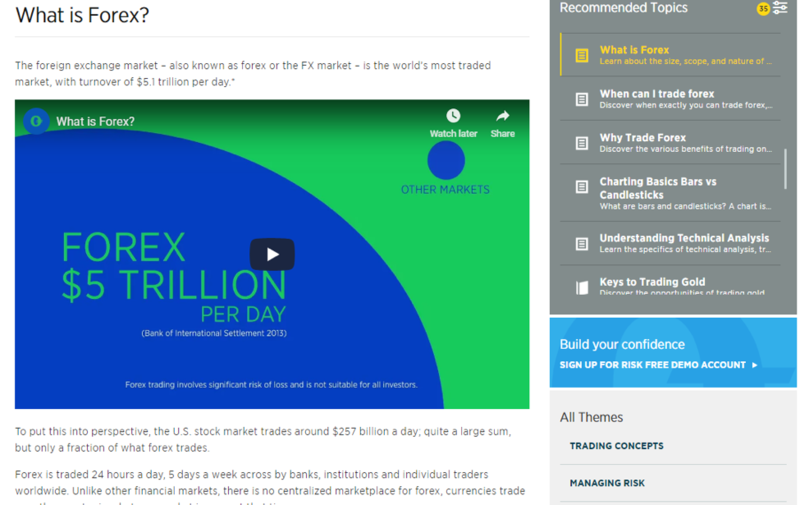 FOREX.com platform has in addition any research published to its website, embedded directly into the platform. The order ticket window allows several different order type options. These are easily understandable providing fast execution. The order ticket can be simplified, and may be too complex for beginners; on the other hand, experienced traders will probably find it highly accommodating. 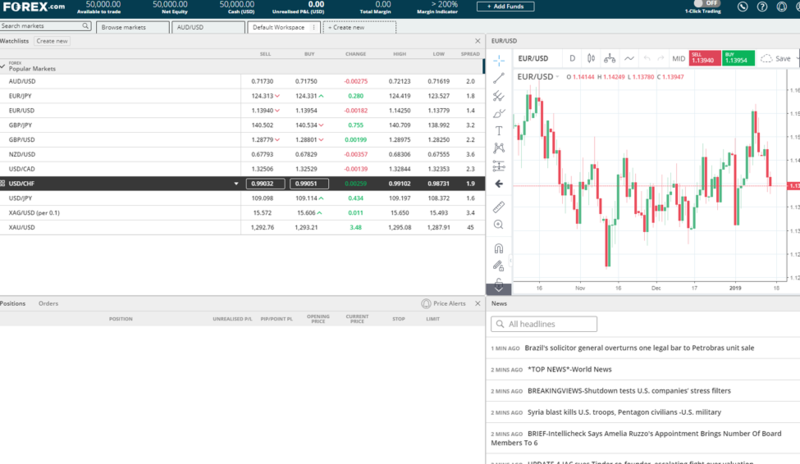 The Advanced Trading platform desktop version is built for advanced traders. But it also provides beginners with user-friendly and simplicity to get started. It is suited and built to help accelerate the learning process. 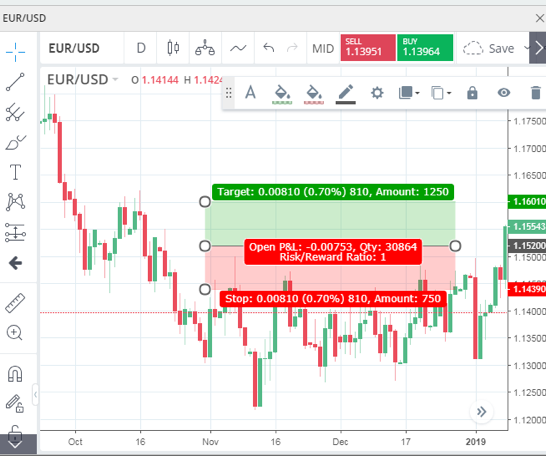 Forex.com MT4 Platform is simple and works well for the user. It is the industry standard used platform so most traders know it well. 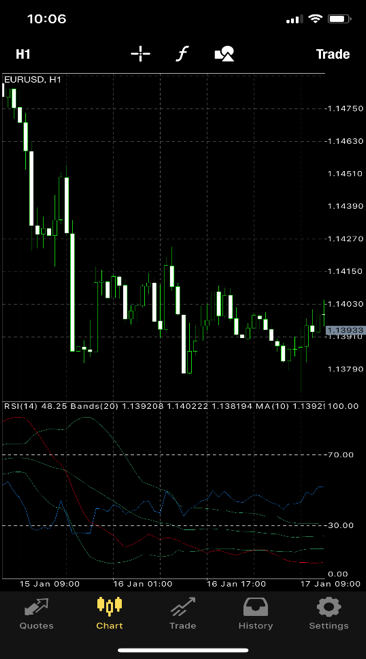 Subsequently, for traders that used other brokers with Metatrader, most functions are recognizable. Basic layout functionality is simple and easy to use. 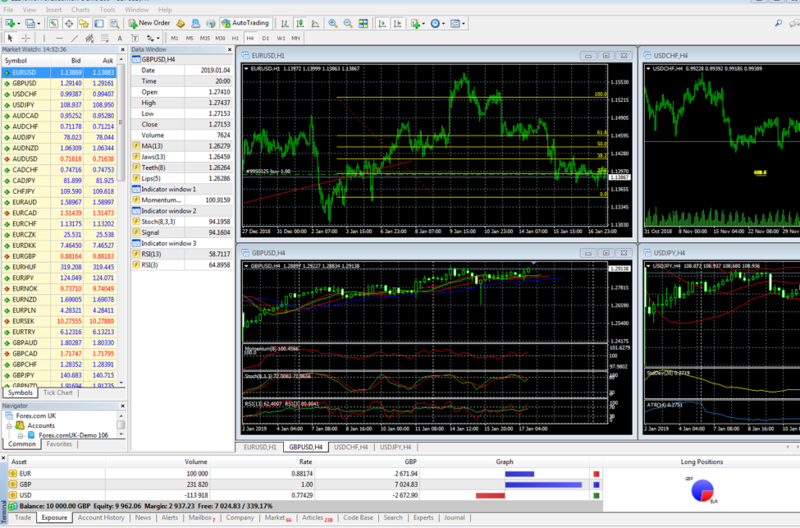 Initially, the trader has the “Market watch” in the top left corner, which is different FX pairs. 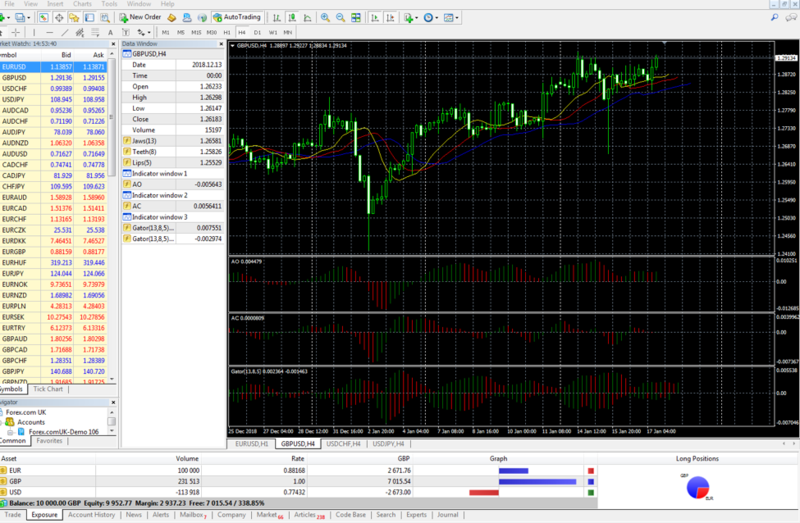 Subsequently you can use the “Navigator” bar, which allows various forms of analysis/technical indicators to be studied. To the right you have the charts section. Placing order functions are straight to the point and fairly simple to use. Finally, the bottom of the page shows the “Terminal” Bar, which displays previous trades, outstanding balance, exposure, news and expert features. 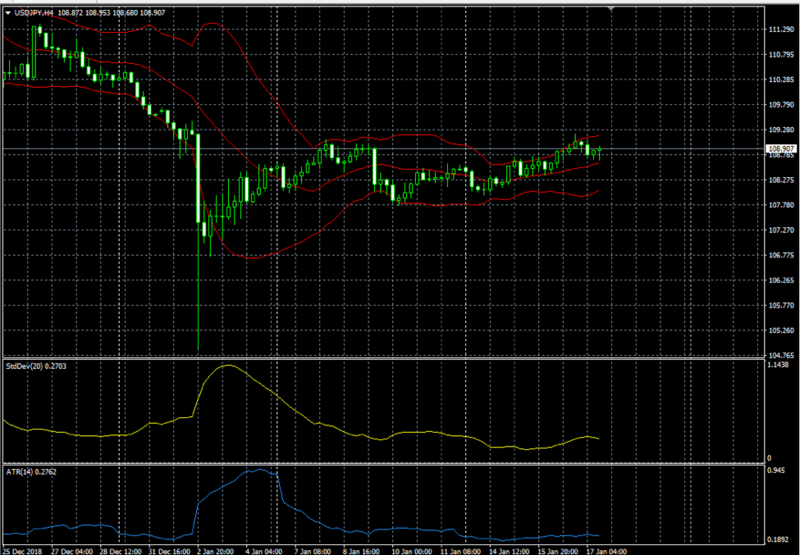 The charting functionality of Forex.com MT4 is simple and clean. This works well for the beginner trader that does not want to have too many signals that affect the trading. For an advanced trader, these features might be lacking. 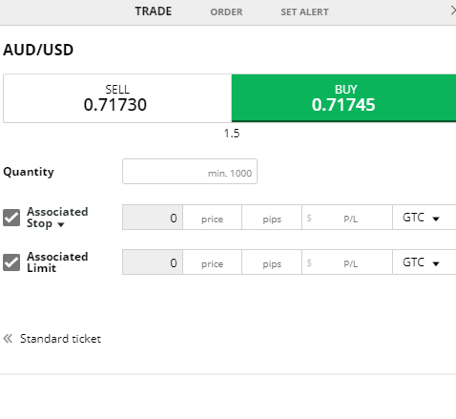 Placing an order on Forex.com platforms is simple, as can be seen below. Putting buy/sell orders both on market and stop-loss orders is done with a click. Charting analysis can be somewhat simplistic, but these functions work well for the less advanced investor that wants to focus on a few pairs and most important indicators. More advanced traders might prefer more bells and whistles on the charting analysis tool. 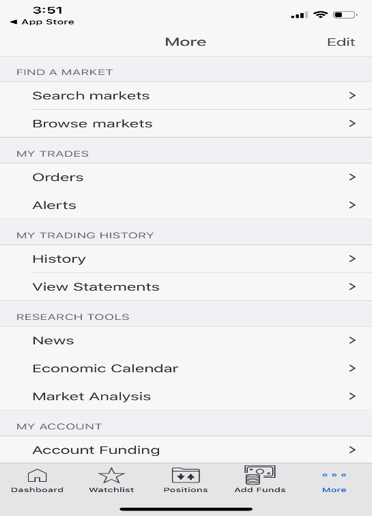 Forex.com own mobile platform is excellent available both in iOS and Android. It offers to use multiple order types. It integrates the most important features from the ATP web based platform as well. That includes analysis, market commentary, and news. It also features real-time alerts as well as notifications. You still get the advanced analysis and charting tools, as well as advanced risk management options and integrated fund management. The news and charting tools work very well within the app. 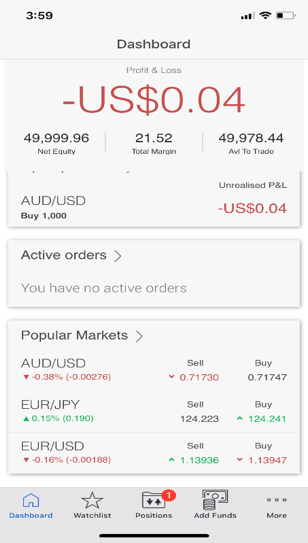 Finally, almost all optionality that is available on the web based trader are available on the mobile app. 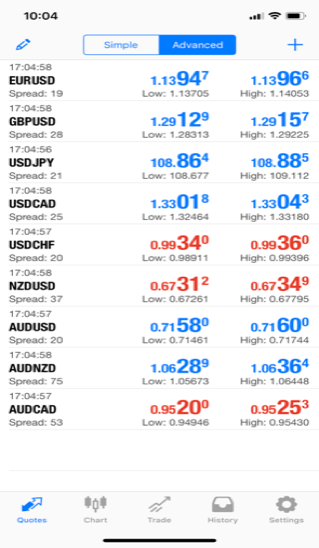 Forex.com’s MT4 mobile platform is also intuitive and easy to use. It provides the most important features that are available on the online function. Placing an order works well, and has the same layout as the web version. Balance and exposure functionality are also easy to follow on the mobile app. The charting functionality on the mobileversionis not bad and provides relevant tools. 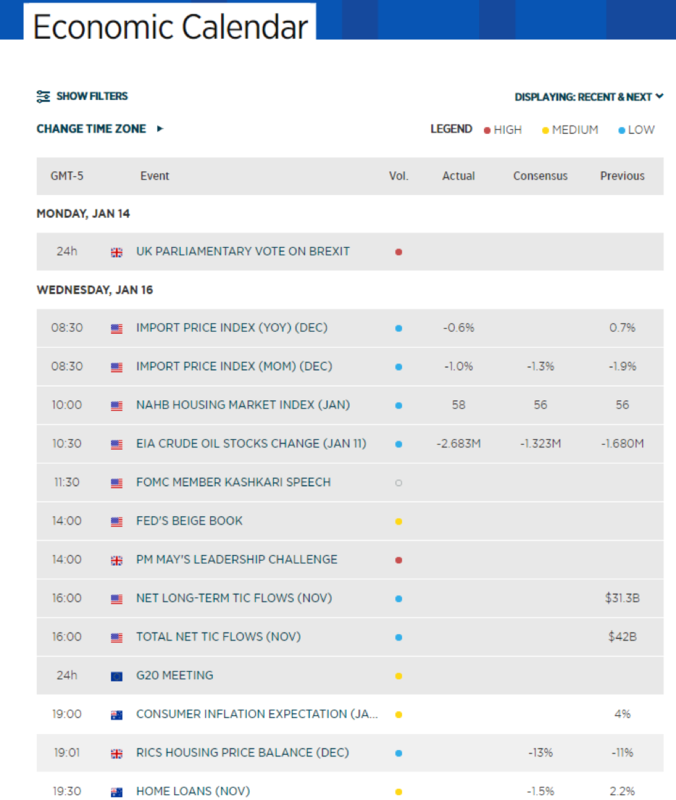 Forex.com also offers an Economic Calendar Feature. Forex.com is one of the leaders in the world of forex trading. Their web-based and online platforms work well both for beginners and advanced traders. It is one the oldest brokers in the market, with very strong backing from its parent company, Forex.com provides best of all worlds. It is an attractive choice and offers competitive pricing across its selection of platforms and products. 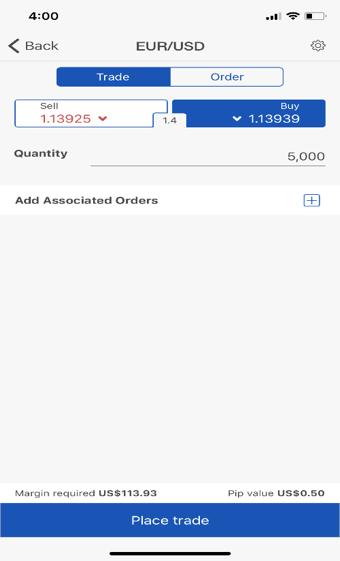 The mobile trading apps, both its own and MT4 are both very good. Its own app offers everything available on the web-based platform and is easy to navigate. The standard available MT4 is simple to use and provides basic tools for most traders. Please visit their website for further details.